"Fun DJ Cool Sound & Lights To Get Everyone Dancing"
Last Dance Disco is a Cambridgeshire based mobile disco business founded by husband & wife team Jonty & Beth out of a joint love for discos, dancing & fun. We cater for kids parties, school discos, birthdays, weddings or any other celebration with 30 - 200 guests. We love music regardless of decade, genre, all that matters to us is that we get your feet moving and a massive smile on the faces of you and your guests, and we are happy to play the music requests of you and your guests. We even encourage the party VIP to have a go at DJing, and for children's parties we have lots of fun musical games. We currently have 3 different packages which can be tailored to meet the needs of your children's party, adult birthday, anniversary, wedding or any other special occasion. 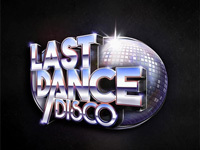 Required by many venues, Last Dance Disco Limited has a current PLI policy with DJGuard / in the amount of £2 million. Also required by many venues, Last Dance Disco Limited has supplied satisfactory evidence of holding current PAT inspections of their equipment dated within the last 12 months. A Method Statement, outlining Last Dance Disco Limited&apos;s Health & Safety procedure for setting up disco equipment has not been supplied. Why do people choose to book Last Dance Disco Limited? Reasonable price, polite and like the look of his page. "Jonty was very professional , on time , set up with no fuss . accommodated requests but didn't overpower the music choice. Tidied up and left in a timely manner . Would definitely recommend him to others "
"Many thanks for the positive review, it was a real pleasure to DJ for your event. I loved everyone's TV/film themed outfits, you all looked amazing. " "Jonty was very good ,everyone had a fantastic night and all would recommend him many have asked me for his number, the equipment and size were perfect for our venue and he played a great varied selection of music. Many members of the club who were not actually involved in the party but whom were in the ajoining room and had access to the music have said that was the best disco we have had at the club." "Many thanks for your positive feedback, I had a wonderful time DJ'ing that night, and love the opportunity to play a wide variety of music. Thank you to everyone at the party and everyone who worked at the venue for making me feel so welcome. " "We would definitely recommend Jonty .... He was professional, very friendly, played great music and we will be booking him for any future events .... We cannot recommend him highly enough! " "Many thanks for the positive feedback. I really enjoyed DJ'ing your party, and would love to DJ for your again." "Jonty was brilliant. When we met, my husband and I were very clear with our ideas for the music. We had a very large range of music which Jonty was able to work with very well. Jonty's ability to work with our music kept people constantly on the dance floor and an amazing time was had by everyone, especially my husband and I." "Many thanks for the positive feedback, we had a great time DJ'ing your wedding. Sheene Mill is a beautiful venue, the music you wanted was brilliant, and you both looked like you were having a wonderful time on the dance floor celebrating your special day. Thank you for choosing Last Dance Disco." "Excellent DJ, would highly recommend & would use again. Many thanks"
"Many thanks for the positive feedback. I had a great time, you cant beat a good 80s night, you & your guests were great fun and had some brilliant 80s outfits which looked awesome in the UV light." "Would definitely recommend Jonty he was polite and helpful and provided music to suit all age groups. He got the party bouncing. Thank you so much." "Many thanks for the positive feedback, it was a really good party and I thoroughly enjoyed it. Its always great fun DJing where there is a wide range of age groups all up on the dance floor together having fun." Get FREE no-obligation disco quotes from Last Dance Disco Limited and other DJs covering your venue. Take 2 minutes to fill in some basic details and we'll do the rest! If you are contacting Last Dance Disco Limited about an event, it's always a good idea to include the DATE, LOCATION, EVENT TYPE, AGE GROUP and TIMINGS to speed things up!